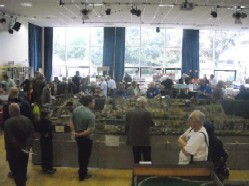 On Saturday 06 October and Sunday 07 October we held our 57th Annual Model Railway Exhibition. Photographs by Steve Waredraper & Steve Wraight. 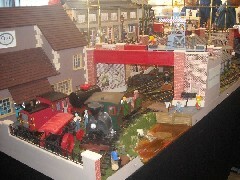 Designed for audience participation, this layout uses a Recycling/Scrap centre as a theme for a small shunting puzzle where scrap is loaded onto wagons for onward delivery. One half of a modular layout depicting early BR private warehousing, designed to allow complicated shunting moves. 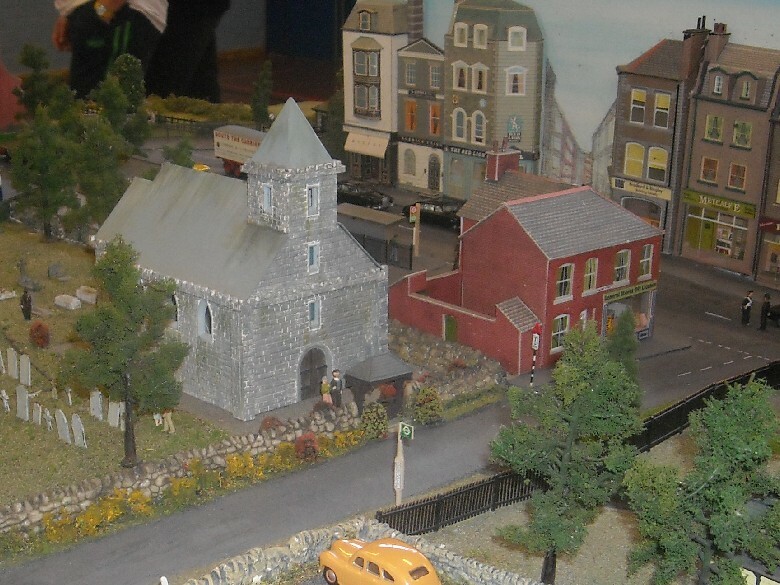 Bolland Road & Turton Green, N gauge. Club layout designed to allow continuous mainline running with multiple trains, and a separate branch line. No fixed era or region, somewhere in the middle of England circa 1950s-60s. Depicts a typical Scottish branch line quayside somewhere in the Highlands circa 1962-1972, with steam and diesel operation. Empingham represents a station on an ex-Midland Railway branch line in Rutland in the late 1950s. 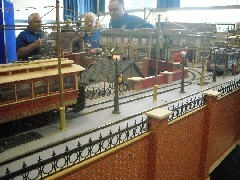 Layout built by Kathy Millatt for a 2008 NMRA competition. Circular and just 3ft in diameter, the layout depicts a typical logging siding with tall trees, rocks and a river! 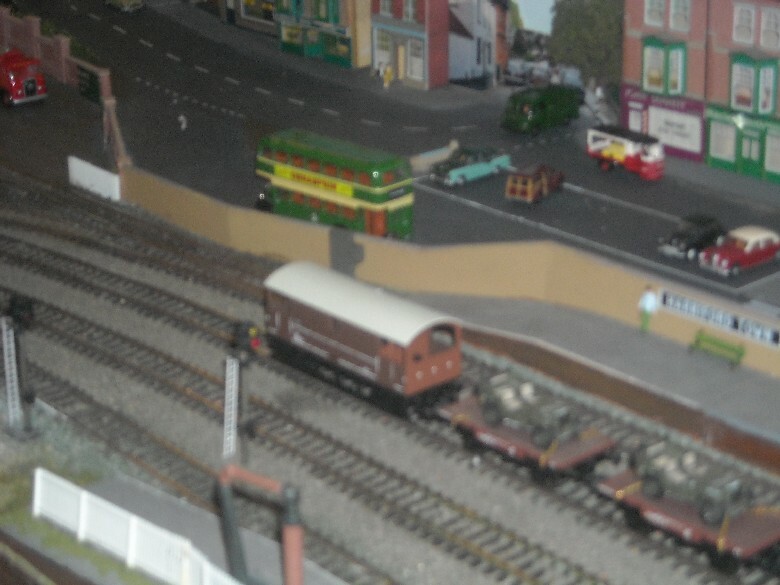 The Chelmsford club's most prestigious 00 gauge layout, Haddon Bank is a large layout designed for conituous running. 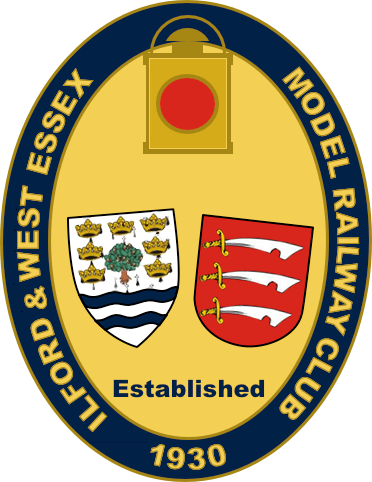 Styled around the late 40s to early 50s, the location is somewhere in England, possibly central to eastern, though to accommodate members various interests, trains from all regions may well be seen. Fictitious OO gauge layout set in the late 60s to early 70s - the changeover era - which allows us to mix both late steam and early diesel trains. 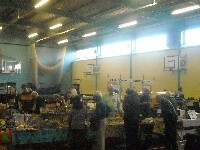 Features include an army war vehicle museum and a carriage workshop building. Junction station on the line originally built to run from Lewes to East Grinstead, later nationalised by British Railways. 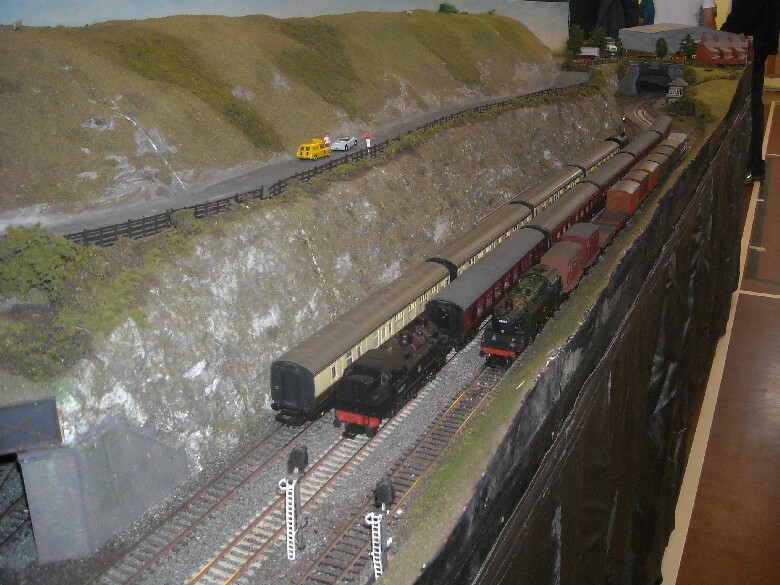 Continuous N gauge layout on three levels, with tight curves and steep gradients. It is possible to run up to 5 trains on separate tracks. Represents a busy branch line terminus serving both a large goods yard and the local brewery. The track plan has been adapted from that of the Great Eastern station at Framlingham in Suffolk, and the station building and loco shed have been based on those originally built at Walton-on-the-Naze in Essex. Small, fictional northern coastal town not far from the Scottish border. Set in the late 1950s to early 1960s when both the towns industries - fishing and coal - are in decline. Simple circular layout with large fiddle yard designed for running long trains. No particular region or era, though a little extra artistic license is required when running North American rolling stock (on the left!). 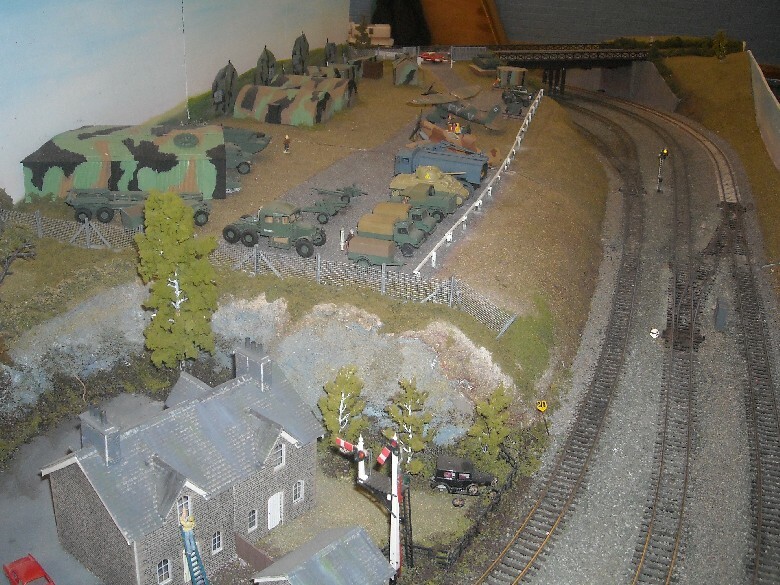 First World War scene built on a 1970s coffee table, showing the movement of troops and supplies, tanks being made ready and a first aid station for the wounded. Though named after a village on the outskirts of Welwyn Garden City, the rationale of layout is a town in the Lincoln area with a run-down branch line and a certain amount of local industry. Upper Crofton with its idyllic old-fashioned shops, post office, pub, picturesque town square and regular tram service, is the very essence of gentility. Lower Crofton - a dirty, noisy industrial area with its dockside railway, oil refinery and factories - has just one redeeming feature; it manufactures the sherry that gives the town its name and keeps the inhabitants of Upper Crofton supplied with their favourite aperitif! Though not modelled on any specific area, this layout represents the Southern Region of the 1990s, using modelling license to bring together various parts of the network. HO scale switching layout depicting the outskirts of a city somewhere west of Chicago. The period represented can be anywhere between about 1950 and the present day depending on the rolling stock and vehicles used. 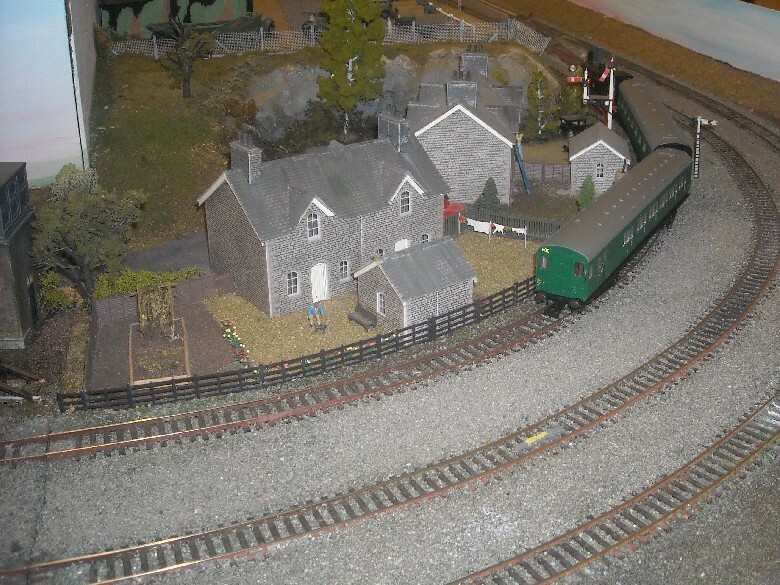 Wagon loads in OO and N scale, plus switches, wire and other useful components. 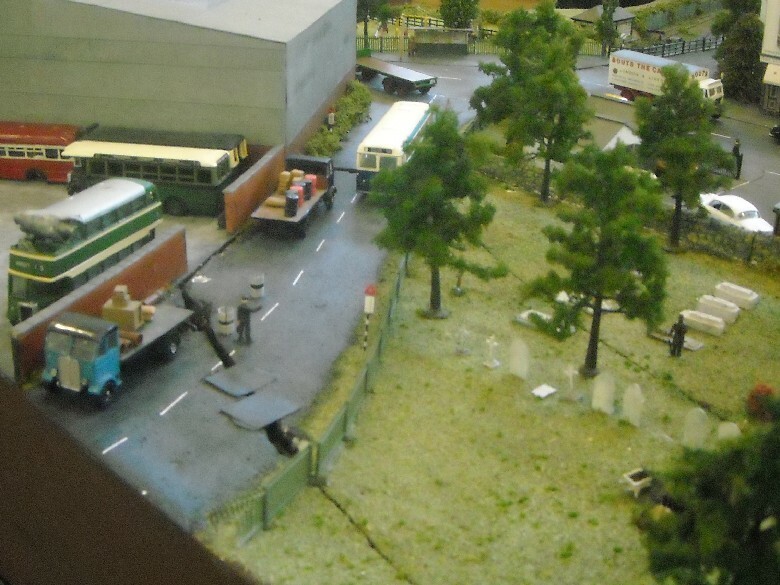 Specialists in custom improvements, weathering and detailing to today's model railway products. 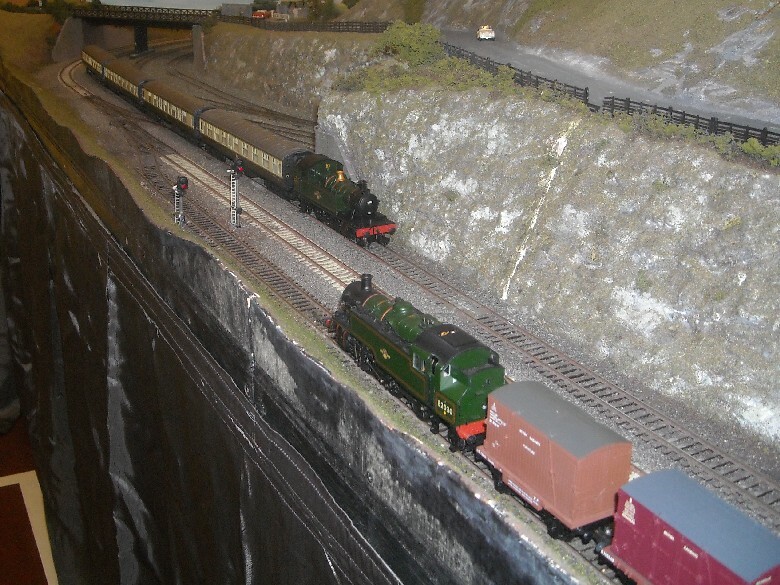 Scenic items, new and second hand model railways and DCC equipment. 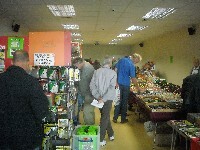 Wide range of model railway stock, controllers and videos. Heritage Railway Society preserving and restoring steam locomotives. 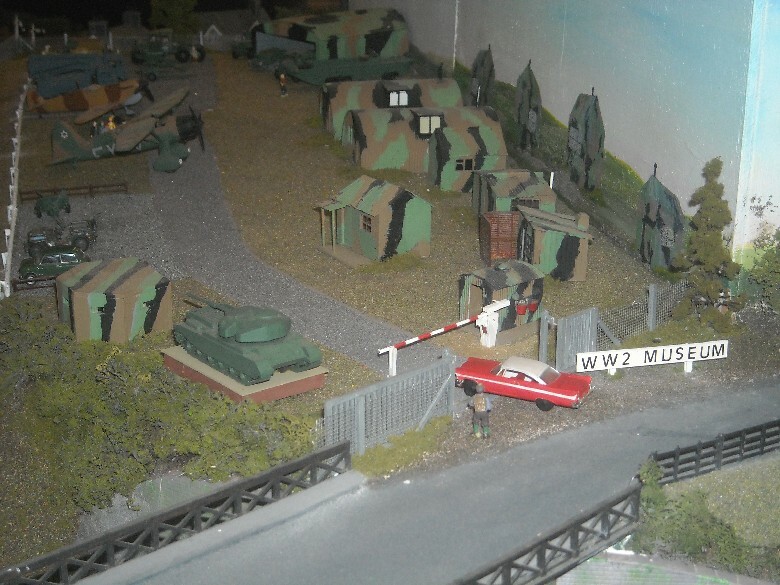 Society for 4mm finescale modellers. 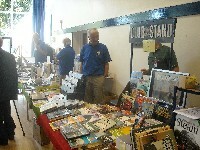 Information about the club, plus second-hand books, magazines and bargains from club members' own model collections. Specialists in 16mm and G Scale. 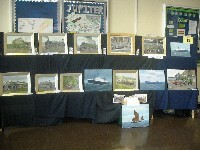 Maritime, Rail and Aviation art work. Wide range of tools, electrical components and scenic materials. Specialist in OO Scale Locomotives, Coaches and Kits. 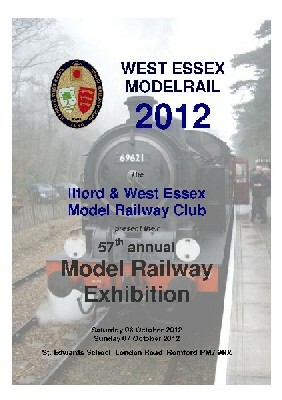 Local Model Shop and regular supporter of our exhibition. Group supporting the preservation of the Severn Valley Railway. Charity preserving two barges in sailing condition, for the benefit of the public. Producing railway signs & layout name signs to order, including a 'while-you-wait' service.